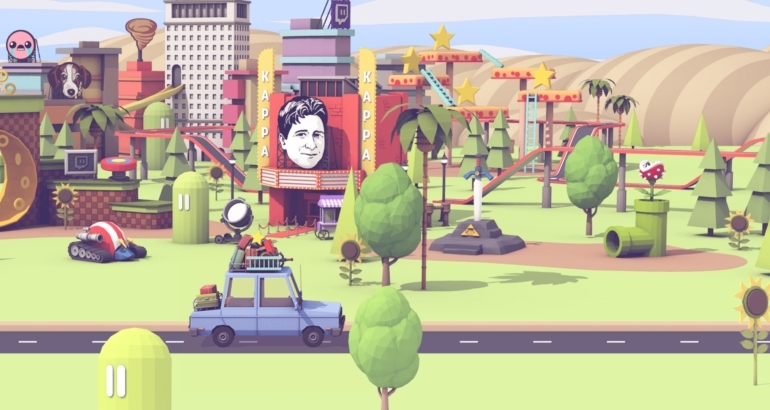 Twitch takes us on a journey to reveal its statistics for last year. Spread across 2.2 million unique streamers, viewers spent 292 billion minutes watching Twitch last year. That’s up more than 50 billion minutes from 2015. Streaming service Twitch released a whole bunch of statistics today, detailing its past year. But despite that major growth, one thing stayed the same: Kappa is still the most popular emote. In 2016, Kappa alone was posted 413 million times. Phew! Twitch’s retrospective statistics for 2016 are spread across an interactive journey instead of an infographic as the company’s done in years past. That’s how we know Counter-Strike: Global Offensive is still Twitch’s top first-person shooter game, while Overwatch was easily the most-watched new game in 2016. Pokémon Go had a great year on Twitch, too, becoming the first mobile game to break into Twitch’s top charts. Among the masses of viewers, Twitch found that Finland harbors the friendliest folks, meaning they use Twitch’s Friends feature the most. Worldwide friendly Twitch viewers rallied to collect $25.3 million for charity, which is up from $17 million in 2015. Those participating in Extra Life brought in the biggest share with $9 million. The Yogscast Jingle Jam came in second with $2.58 million. Twitch users were generous with their bits this year, too. Introduced in 2016, bits are a way for users to donate and cheer for their favorite Twitch streamers. Total bits add up to 590 million, meaning Twitch users spent at least $7.2 million on cheering in 2016. Part of that money went to Twitch, and the rest to the streamer who earned the bits. Twitch and Twitch users were also able to make money from subscriptions, of which a million free channel subscriptions were amassed in 2016. These are the subscriptions from users with Twitch Prime, introduced in September. Essentially free with an existing membership of Amazon Prime, users had to pay no money to support their favorite streamers. Revenue and viewership numbers will likely continue to rise in 2017 and beyond. Twitch continues to introduce new features designed at opening up the community to new fields. Its success shows no signs of stopping.